housewrap membranes such as Tyvek® and is a Canadian Construction Materials Centre (CCMC)-evaluated product (see Report #11955-R). It is low in volatile organic compounds (VOCs) and has a low-rating for moisture vapor transmission, water penetration and air permeance. The high-tack adhesive provides aggressive contact to help create a strong and durable holding power. 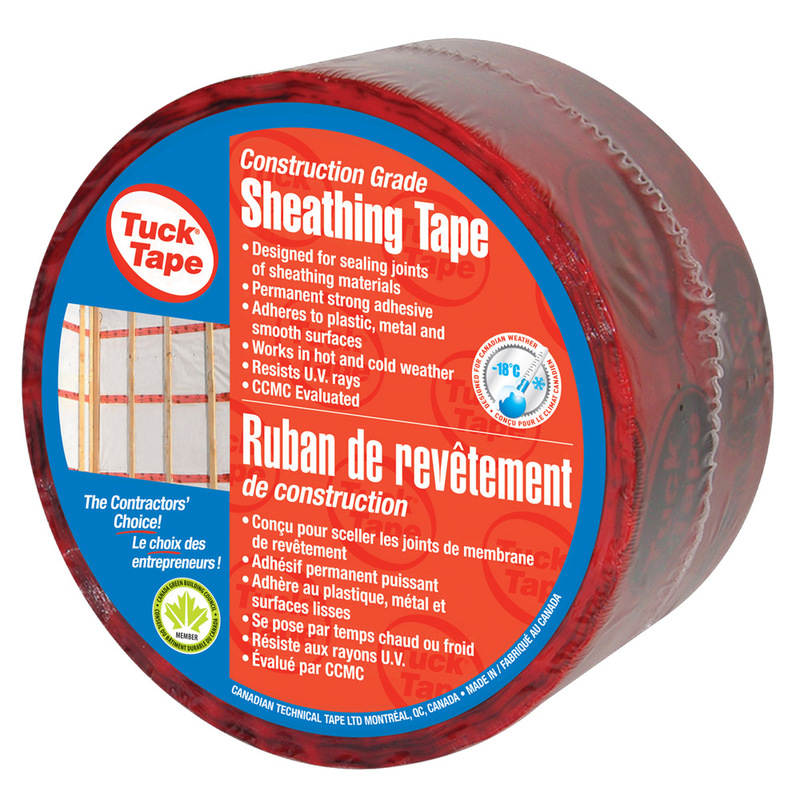 The tape is water- and moisture-resistant and prevents air infiltration.